Kasie has been with Your Happy Nest from its launch in 2012 and does a wonderful job making the perfect family-nanny match! Her background in Early Childhood Education from her studies at Georgia State University and over fourteen years of experience in the child care field lead Kasie to understand what it takes to be a quality caregiver. In addition to over 10 years of experience as a professional nanny and household manager, Kasie has also served on the Board of Directors of a children’s theater and worked as a trainer and educator for preschool teachers. She understands the special relationship that can develop between a family and nanny and loves working with families to find a perfect fit. Kasie also is our coordinator for all of the childcare needs for the Atlanta Braves and Atlanta Hawks. Kasie is originally from Tupelo, MS but now lives in Decatur with her husband, 6 year old daughter, and 4 year old boy/girl twins. Kasie is an amazing cook and enjoys hosting dinner parties for friends and family. She also loves taking advantage of all of the fun family activities that Atlanta has to offer such as Fernbank Museum, the Atlanta Zoo and the Atlanta Botanical Gardens. Lauren heads up the nanny recruitment and vetting process in our Atlanta office and uses her background in Elementary Education to help find the best caregivers in Atlanta. She has been studying and working in childcare related fields for over 10 years including as a Headstart teacher, professional full time nanny and camp counselor. Lauren does a wonderful job to provide a smooth process for nannies and babysitters wanting to join the Your Happy Nest team and keeps communication open so nannies are fully involved in the placement process. Lauren is passionate about advocating for nannies and also organizes monthly playdates for nannies as well as other social events to build a strong nanny community in Atlanta! Lauren is originally from Angola, IN and now resides in Buford with her husband and two year old daughter and new baby boy. She loves being a mom and spending time with her family. On the weekends you can find them cheering on the Indianapolis Colts and Purdue Boilermakers or soaking up the sun on Lake Lanier. Leah manages all babysitter placements for local families as well as coordinates sitters for guests visiting Atlanta and for special events. Leah has developed a strong team of caregivers and knows her sitters well so she is wonderful at matching you with the best sitter to fit your family's needs! 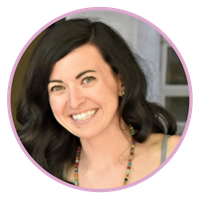 Prior to working with Your Happy Nest, Leah was a professional nanny for over 10 years in Atlanta, Chicago and Florida. Leah is from Calhoun, Georgia but currently lives in Marietta with her husband, three year old daughter and puppy! Leah is passionate about good food and loves cooking healthy and delicious meals for her family as well as trying out all of the wonderful restaurants Atlanta has to offer. Ginny works with Lauren as a nanny coordinator and helps recruit, screen and assist Kasie on making the perfect match between nanny and family. Ginny has worked in childcare as a babysitter and then full time nanny off and on for the last 15 years. She has a passion for helping families and children. She knows first hand the importance of what a nanny can bring to a family and the role that they play for the children. Ginny lives in Roswell, Ga with her husband and pup. They’re expecting their first little girl, due in January! She loves spending time with her family and exploring new areas. Most weekends you can find her hiking new trails, or exploring new towns around Georgia, unless it’s a college football weekend!